World famous Greek Fisherman's cap, made in the U.S. with Greek parts. Wool Tweed Material. See more pictures for detail and alternate views. Please review to avoid the inconvenience and shipping cost of an exchange. Sizes shown are relative to size in inches and may not be the same with other hat makes. Take a measuring tape and place it around the circumference of the head, slightly above the ears. Alternatively, measure the circumference of a hat that you already wear. 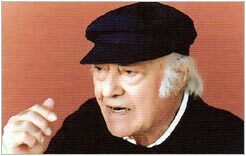 Literature Nobel Prize winner Odysseas Elytis was known to treasure his Classic Greek Fisherman Hat.